Through a letter buried amongst military archives, Ernesto López, a professor of Contemporary History, discovers the unknown story of Sergeant José Rico, a young man who, in 1936, only a few days into the uprising, tried to kill General Franco. The emotive missive, sent to the boy’s parents in 1937 moves the professor deeply and he becomes obsessed with José Rico’s story. From that moment, he abandons his research into the post-war repression and explores every possible avenue of research in an attempt to find out who the young man was, how he planned the assasination and what happened in the final days of his life. The historian eventually uncovers the story of the sergeant’s destiny and that of the members of his family, all of them touched by tragedy and abandoned by history. 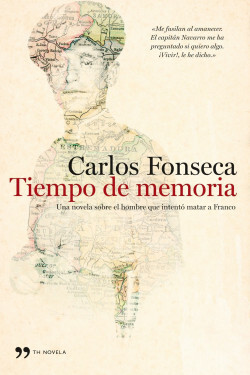 Somewhere between fiction and historical fact, Tiempo de memoria is a novel that brings back the life of an anonymous civil war hero whose courage and ingenuity might have changed the course of history. Tiempo de memoria is an invitation to reflect on our recent past.